Home > Blog > Rad Gifts for Rad Dads! Rad Gifts for Rad Dads! Father's Day (June 18th) is fast approaching! We're sure your dad is pretty great so why not get him a little treat which might just make his day! We've rounded up our favourite selection of gifts perfect for dapper dads. We've got some pretty rad wash bags, tote bags and t-shirts. You can check them all out here. 'Damn Fine Dad' Wash Bag - £22 - A dapper and extremely useful wash bag for all the damn fine dads out there! Our wash bags are ideal for travelling and are the perfect size for all his bathrooms essentials. Treat your dapper dad this Father's Day to this unique gift, perfect for his shaving kit and manly essentials! 'Hey Dad! You Look Great Today' Wash Bag - £24 - Our smart grey canvas toiletry bags are perfect for storing bathroom essentials. They are also a great size to take travelling! 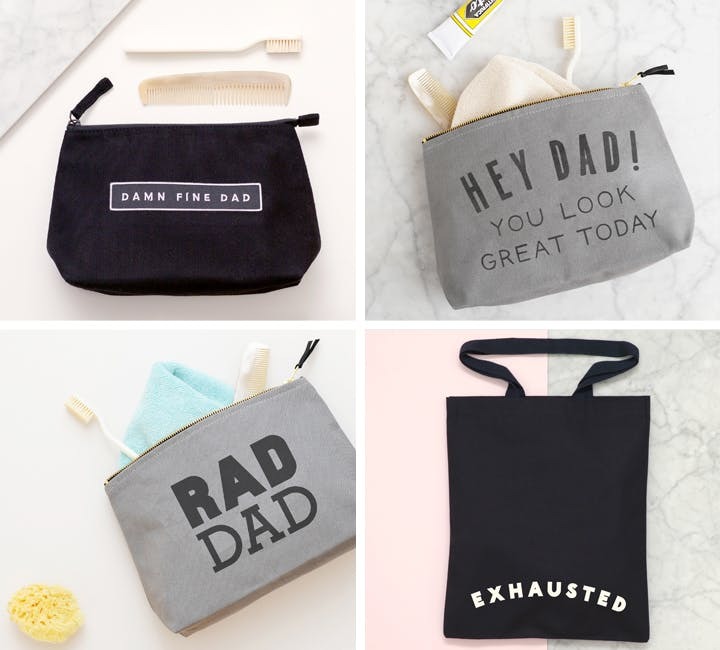 'Rad Dad' Wash Bag - £24 - The perfect gift for your rad dad! 'Exhausted' Black Tote Bag - £15 - The ideal tote for new dads who are feeling just a little bit sleep deprived. 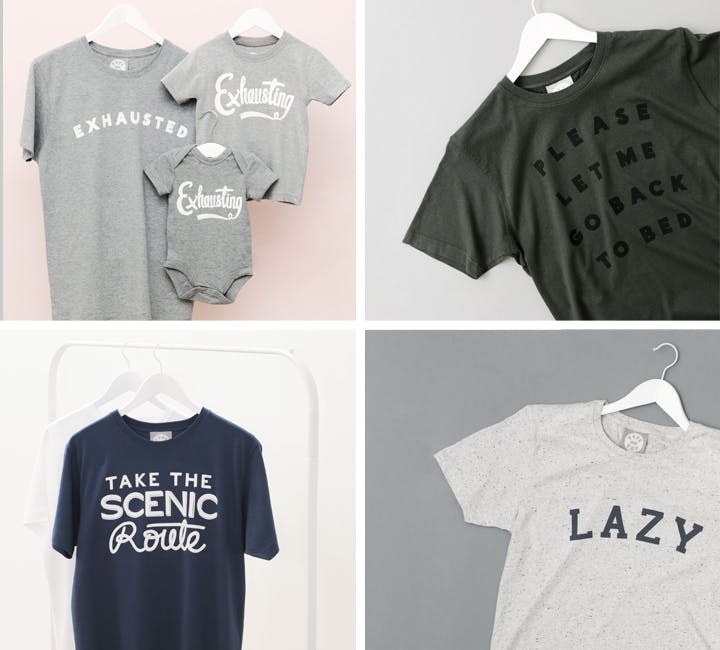 'Exhausted/Exhausting' T-shirt Set - £34 - One of our best sellers and the perfect t-shirt set for dads who don't mind admitting that looking after a little one is exhausting! An ideal gift for his first Father's Day. 'Please Let Me Go Back to Bed' T-shirt - £20 - Whether you're a newborn or a teenager keeping your dad up all night, this could be the slogan tee for him! 'Take the Scenic Route' T-shirt - £20 - If your dad is an explorer (or always getting lost) he might quite like our Scenic Route tee! 'Lazy' T-shirt - £22 - If your dad is a bit lazy then look no further than this lovely flecked t-shirt. You can check out all of our picks for Father's Day here.